Amanda has been with the Conservation District since May of 2013. Amanda maintains the districts financial records, prepares monthly reports, and processes program payments made by the district. She works with the District on conservation programs and educational programs and provides assistance to NRCS. 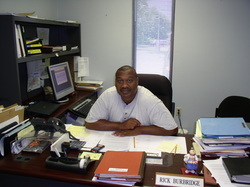 Rick is Butler County's NRCS Natural Resource Planner. Rick provides technical assistance to landowners in Butler County as well as Muhlenberg County, and lives on and operates a farm in Ohio County. His regular days in Butler County are on Tuesday and Thursday. Shanna is the field representative for the Kentucky Division of Conservation in Butler County. 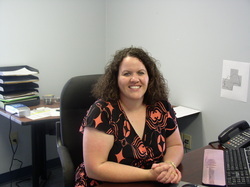 She assists with preparing financial records, programs, and many of the educational programs.